Last week, friend of the CDP Sally Nuamah wrote this insightful piece about the politics of school closures for the Washington Post Monkey Cage blog about the reasons Mayor Rahm Emanuel ultimately chose not to pursue a third term (to be fair, Emanuel has not publicly stated a definitive reason, but our political analyses can shed some light). In the article, Nuamah observes that the response to Emanuel’s “controversial 2013 decision to close nearly 50 public schools — the most schools closed in one city in a single year in modern U.S. history” may have been an important factor in his calculation. 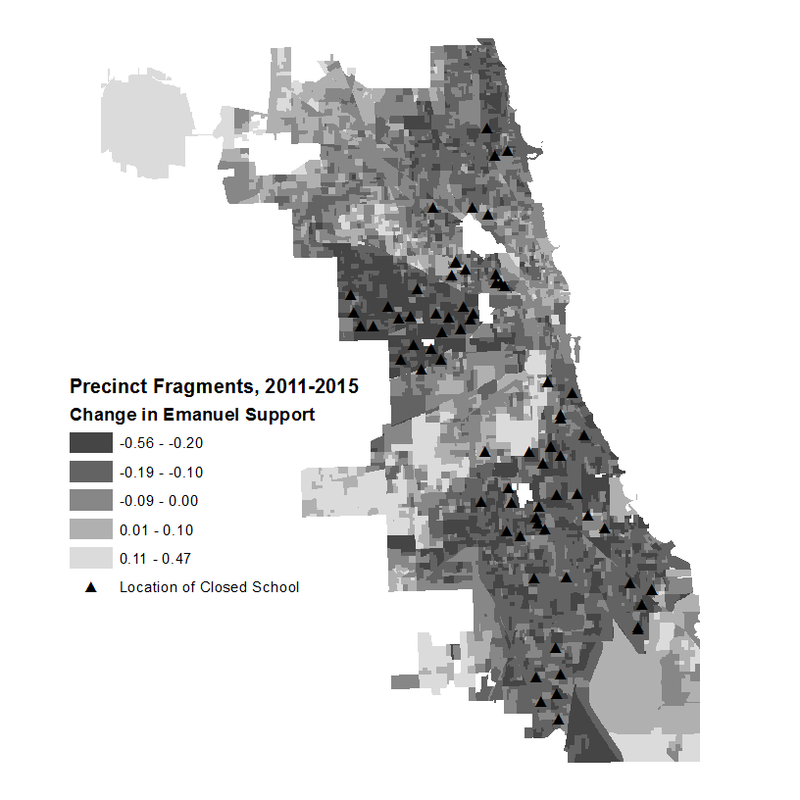 These relationships are illustrated in the figures above: areas closer to a school closure had bigger drops in Emanuel’s vote share from 2011-2015. These correlations remain about that strong (about 2.5 percent per mile) when we control for a variety of alternative explanations, including precinct-level race, class, school attendance, and crime rates. 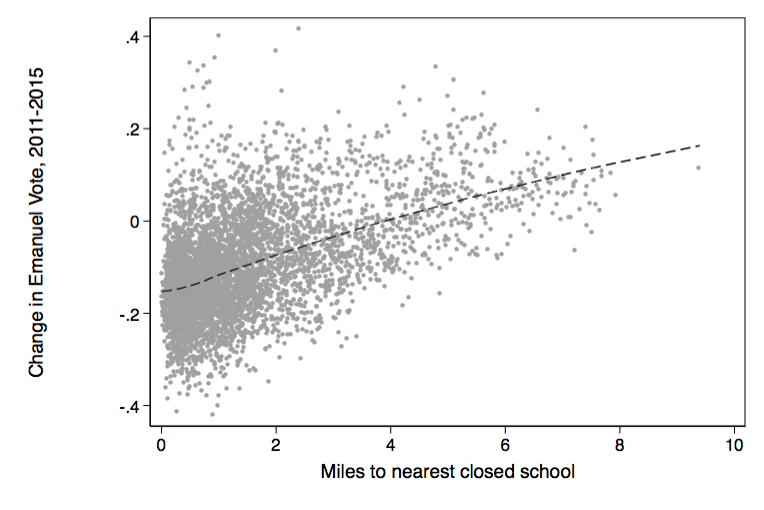 Areas closer to closed schools were also more likely to mobilize for the 2015 ballot measure supporting an elected school board, the institutional change pursued as a remedy to the closures policy. This account illustrates how citizens learn about the policies that affect their lives most directly–like schools, policing, and housing–and can mobilize in reaction to them. With Emanuel out of the race, but school policy still on the table, this is an issue to watch during the upcoming campaign.